In this guide, we'll let you know how to find survey results, access specific respondent profile and export data to XLS or CSV. We also encourage you to check other articles in a section about our data reporting, including in-depth analysis using attributes, manual to setting up email reports as well as getting notified about responses. 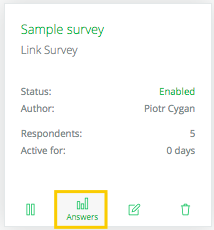 In order to see responses to any survey, just click on "answers" under any survey in your workspace. You can either view overall responses for your surveys, or look for them respondent by respondent by going to Survey respondents tab. 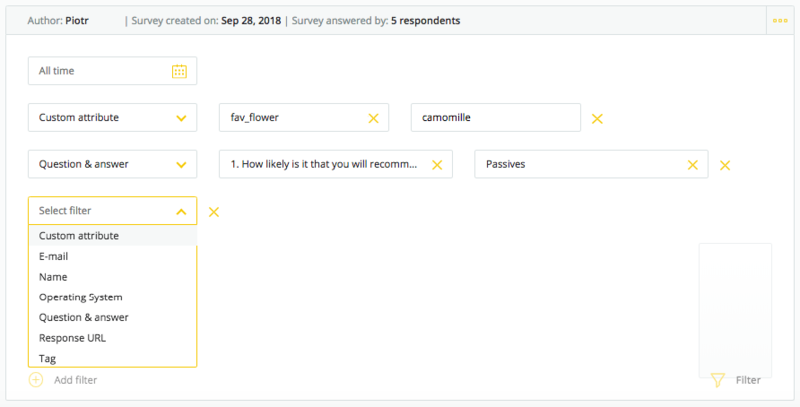 While you are already at results' page, just simply move to Survey respondents, pick a profile, open a menu by clicking three dots icon on the right, and you got it! If you are more data savvy, try working on the reports on your own! Click on three dots icon in survey results and pick preferable format of the data. ❗️Remember, that if you have any filters applied we will export only the data matching all the filters!